Ok, that’s enough of that nonsense – you get the picture. Today is my birthday! I decided to use a few hours I was owed from work and take the day off to spend with my family. (Let’s hope I don’t regret that decision later on today!) Right now, I am sat on the sofa, drinking my morning coffee while the girls are in the playroom. 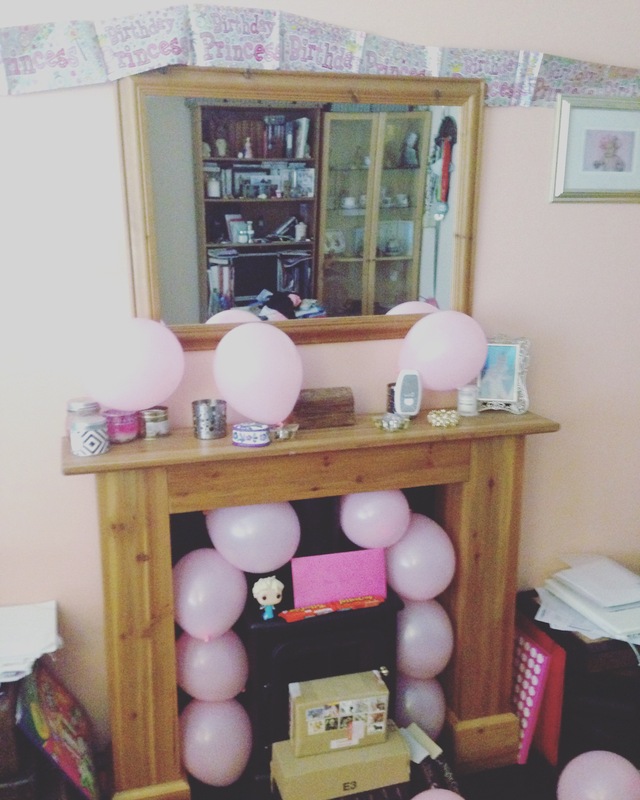 When I woke up this morning, my lovely family had decorated the living room and left out some treats for me. I opened my presents and cards and then Mr Mess made me a fabulous birthday breakfast of sausage, eggs and french toast. YUM! Today is my 31st birthday. I have to say that turning 31 is not half as exciting as turning 30 was. Turning 30 is a milestone – it feels like a new chapter of your life. Everyone makes a ma-hoo-sive fuss of you, even people you who normally wouldn’t buy you a card! Turning 31 on the other hand, feels rather dull. It feels grown-up. like suddenly I’m a proper adult. 31 sounds properly middle-aged. I don’t feel old, but I do feel like I’ve made most of my major life decisions. I’ve decided on my path and now all there is left to do is follow it to see where it leads. It’s not exactly inspiring. Still, I suppose it if nothing else, the arrival of my birthday is a sign that I survived yet another year, and considering how brutal 2016 has been so far, that’s quite an achievement in itself. So, have I gained any wisdom in the last 12 months? Have I learnt anything new? I feel that I have definitely earned the right to say that I am a mature and responsible adult. I have managed to deal with broken boilers, poorly kitty cats, two rather adorable yet demanding children and hold down a full time job, all while coping with some rather difficult circumstances. It’s not always been pretty, I haven’t always been gracious, but I’m pretty proud of myself for getting through the last year. When I blow out my candles later today, (assuming somebody bought me a cake!) I’ll be wishing for a little bit of peace in the next 12 months. We’re just starting to get the family back on even footing and it would be really nice if we could just sit back and enjoy it for a while. I’ve got absolutely tons to look forward to in the near future, so I’d really like to make the best of it, with as little drama as humanly possible. Oh, and I’ll also be wishing for world peace, as things are seriously screwed up at the moment…. Unlike last year, I have no major plans for my birthday celebrations (unless someone’s planned something I know nothing about, which seems unlikely – I know everything) Tonight we are all going to my mother-in-law’s house for a birthday meal (which will be fab as always) and then Mr Mess and I might pop to the local for a cheeky beverage. After that I am, rather selfishly, joining in the Girl Gang Movie Night and watching Tangled with my girls. I felt a bit silly saying that was what I wanted to do, but I do always love the #GGmovienight and I really didn’t want to miss out. Luckily, Mr Mess is also quite fond of the film so it won’t be complete torture – we do a pretty awesome duet of “I see the light”. Tomorrow night I’ll be seeing my family for more birthday dinners and then that really is it! We’re having a pretty quiet celebration this year. I don’t really mind. I do love a good party but everything’s so busy and hectic at the moment that it’s nice to just have some rest and relaxation. We had planned to go to Chatsworth or something today, but at the moment we’re just enjoying some family time (I’ve already been thrashed at Frozen Monopoly and Labyrinth board games). Thank to you everyone who has wished me a Happy Birthday, send cards and gifts or just made my day a little special. 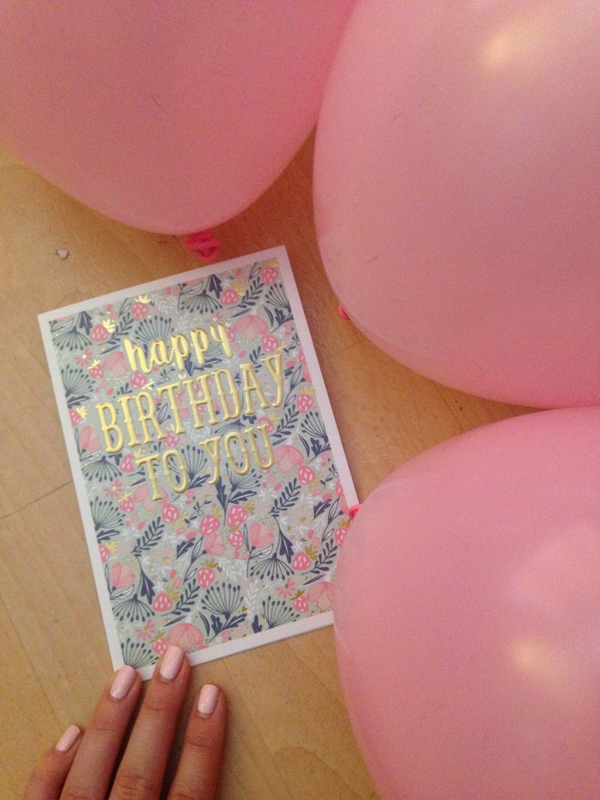 I’m planning on doing a birthday haul post this weekend to show you the lovely things my generous friends have given me. This entry was posted in Dear Diary and tagged dear diary, happy birthday, one year older, reflection.